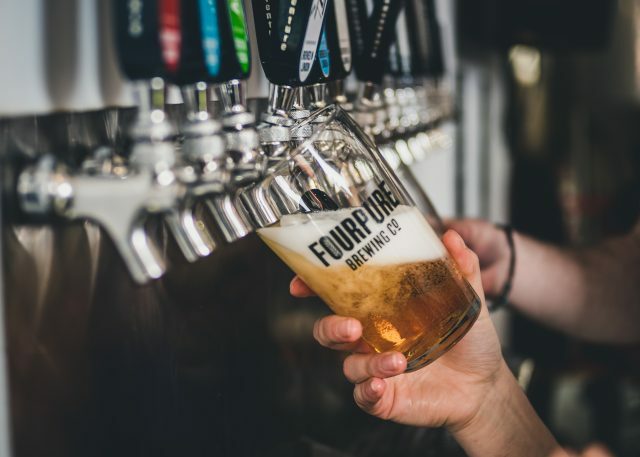 London craft brewery Fourpure has invested £2.5 million into its outpost on the ‘Bermondsey Beer Mile’. The move will create 20 new jobs at the drinks maker, as co-founder Daniel Lowe sets his sites on expanding Fourpure’s reach across the UK and overseas. The brewer, which is one of several based in a mile-long stretch of archways between London Bridge and South Bermondsey stations, plans to increase its output by up to 14m pints a year thanks to the implementation of new high-tech equipment. The brewing system will also be used to launch a number of new beers, and plans to add Foupure’s Easy Peeler IPA to its core range as the brewery re-opens today. Its current core range includes a session IPA, American pale ale and Pils lager, while Fourpure also champions a range of seasonally-available inspired by German, American and Scandinavian brewing styles. Last week, Fourpure announced a partnership with Crafted Exports, a New York-based importer, to launch its beers on the east coast of the United States. Fourpure’s Session IPA and Munich-inspired Pilsner were recently unveiled at launch events in New York City and Boston, reports Brewhound. Co-founder Daniel Lowe also told City A.M. that the microbrewery is currently in talks with an unnamed Big Four supermarket, with a view to increasing distribution nationwide.